Sanguine Press is preparing to open for rolling submissions to the quarterly e-zine, Dreamers & Makers. Short stories must be 3,000 words or less. Artwork must be in a digital format that can be displayed within a standard web browser. Explore as you will, how you will. We are particularly interested in featuring art and stories from POC and are open to all explorations of intersectionality. 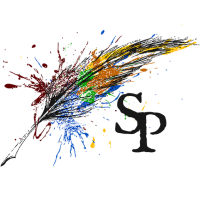 Contract Overview: Our contract covers the right to publish your story or art online at Sanguine Press. We ask for exclusive rights for one year, and non-exclusive after that. A full contract will be provided upon acceptance into the ezine. Note: Yes, it takes us a (sometimes very) long time to get back to people on their submissions. We know and are working to get faster/better. Stay patient and we love you!